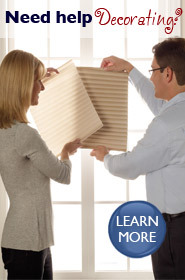 Order your Free Blind or Shade Samples Today! Want to see, touch, and feel the wood grain? No problem, order any of our Free blind samples. Need to get shade ideas? Choose between an array of shade swatches to narrow down those design decisions. Best of all... Request as many products as you want and get window covering samples, FOR FREE! Make sure you enter a valid email address because the store will send you notifications to this address. fauxwood, composite, wood alloy blinds in 2" and 2.5"